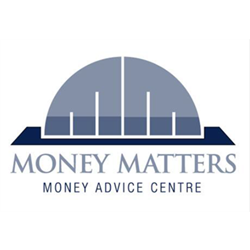 Money Matters is looking for a highly motivated person who is an experienced advisor to form part of the Money Matters team. Applicant requires a detailed knowledge of debt, benefits and financial capability advice. The purpose of this position is to assist families who have a child who is a patient/outpatient within The Royal Hospital for Children. Delivery will be within the hospital setting. Good IT skills, clean driving licence and own car are essential. Money Matters are looking for highly motivated people who are experienced advisors to form part of the Money Matters team. It is essential that Applicants possess a detailed knowledge of debt, benefits, financial capability and Energy advice. We are looking for Energy/Fuel Advisors who preferably hold their City & Guilds 6261/01 qualification although this is not essential as energy training can be provided to suitable candidates. Money Matters are based in Glasgow but these positions may require working out-with Glasgow as area requiring coverage is throughout Scotland therefore flexibility is required. Good IT skills, clean driving license and own car are essential. Money Matters are looking for highly motivated people who are experienced in administration to form part of our Money Matters team. This role is crucial to the delivery of our Financial Inclusion Service and the successful applicants will be responsible for supporting our Financial Inclusion/Energy Advisors. These positions require individuals who can multi-task, are flexible and can work under pressure. Excellent Administration, organisation and IT skills are essential. Work may include being co-located within a hospital setting and the ability to deal with vulnerable individuals and have an approachable manner is required. These positions may require working out-with Glasgow and flexibility is required. A clean driving licence and own car are essential.